India is the land of herbs. Especially in high areas like Himalayas; many herbs are found which are similar as the nectar. The first therapy or treating system originated in India was “Ayurveda”. It is the holistic way to lead life and offers you a handful of health and prosperity. It is completely based on herbs, natural remedies and self-treatment. Ayurveda says; “Why we wander here and there, when the treatment is inside us only!” Here. we will be talking about one of the herb which is well-known for its immense benefits. It is called “Brahmi”. Brahmi also called Indian penny wort in Hindi; is a herb promptly known for its memory boosting benefits. It is a pious herb; and is said that the use of this pious herb helps and supports spiritual quest of a devotee. This is why this herb is popular among devotees. It is a very soft, ground creeper which bears frog like leaves and is spread all around the land it occupies. This herb is found all over India; it is commonly found in Haridwar up to 200 ft high areas. The plant flowers from spring to summer and fruits come thereafter. The flowers are white and bluish in colour. The whole plant has a bitter taste. The leaves look like webbed feet and have very small marks on them. The leaves are used as a salad ingredient in Sri Lankan cuisine. 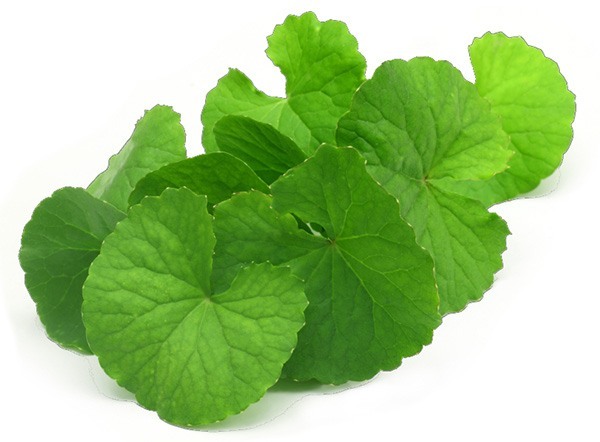 The leaves are also used in pennywort drinks. It is one of the constituent in Indian summer drink ‘Thandai‘. In Bangladeshi cuisine, mashed leaves are often served with rice. Herbal tea is widely prepared using the leaves. Grind 3 gm Brahmi powder in 1/2 litre cow’s uncooked milk. Strain the milk and give this to the patient for a week. Soak 5 gm Brahmi with coriander at night. Next day, grind them and strain the solution. Mix sugar candy in it and give this to the patient. give 1 teaspoon of its whole plant powder twice a day. Repeat the procedure for a few week. It directly affects your body and in few days only minimizes the falling of hairs. Take 1 part of dry Brahmi, 1 part almonds and 1/4th part of black pepper. Grind them all in water and prepare tablets of 3 gm each. Give 1 tablet twice a day with milk. It improves the memory power and intellect. Mash few leaves of Brahmi with lemon drops and turmeric powder. Make the paste of it. Apply this on face; once a week. It erases all the scars and acne from the skin. Grind 3 gm Brahmi with few black pepper in water. Strain the solution and give this to the patient 3-4 times a day. It cures chronic headache and reduces anxiety. Mix 100 gm Brahmi, 100 gm grapes and 50 gm of Shankhapushpi. Mix them in four times of water and prepare the extract. It makes the person healthy and also clear the voice. 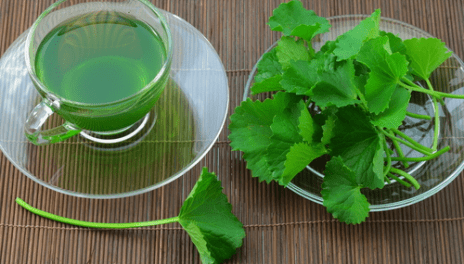 Take 2 teaspoon of Brahmi juice and mix 1 teaspoon of sugar candy in it. Give 1 teaspoon Brahmi juice with 1/2 teaspoon of honey to the patient. It cures the blood pressure problems. Take the oil of Brahmi ad apply on the joints. With the regular usage, it cures the pain. One can also apply the paste of Brahmi leaves to the affected areas. So, in this way we saw how such a small herb can be so beneficial, It cures many disorders with a great ease. So, go green and live well! Hi.in my villag I found same leaf but its taste is bitter and it. Is. Plant has no hight it is plenty and .spreading. type is it. Indian pennywort. It must be Indian pennywort/Brahmi. The plant spreads like the bush and has the same appearance, as shown in the post. Still, if you have any doubt, you may as any Ayurvedic physician or some knowledge seekers nearby.